In Resin Transfer Molding (RTM), KraussMaffei Reaction Process Machinery outpaces its competitors worldwide. Later, the company strikes again by presenting the innovative iPul pultrusion process. 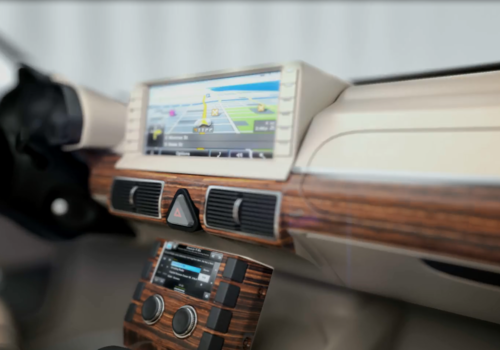 Resin Transfer Molding (RTM) is a popular process for manufacturing the type of fiber-reinforced components used, for instance, in lightweight construction for vehicles, etc. In this process, fiber mats are inserted into the mold and embedded in a liquid resin-hardener mixture under pressure. The remainder of the process involves applying heat, causing the resin to react and form a solid body. The process has a wide variety of advantages including short cycle times, high automation potential, premium-quality solid finished products and high process reliability. 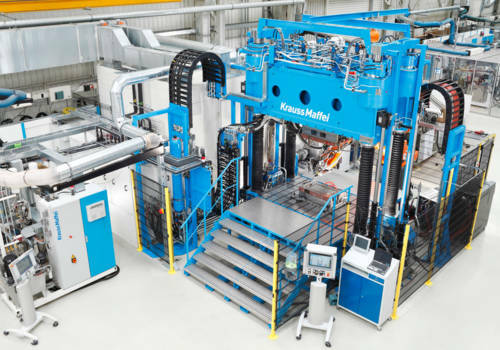 Over time, KraussMaffei has developed a group of processing methods in this segment that includes HP-RTM, C-RTM, T-RTM, Surface-RTM and wetmolding. In the HP-RTM (High Pressure Resin Transfer Molding) process, low-viscosity, reactive epoxy and PUR systems are injected into the cavity. This is done in order to impregnate each individual fiber without air voids. In the C-RTM (Compression RTM) process, the matrix is inserted into the slightly open mold. Subsequently, the mixture is pressed through the preform in one compression stroke so that the preform is completely saturated. The Surface-RTM process is a particularly good method for series production of fiber-reinforced visible components for vehicle manufacturing. This method is cost-effective and allows the components to be painted. 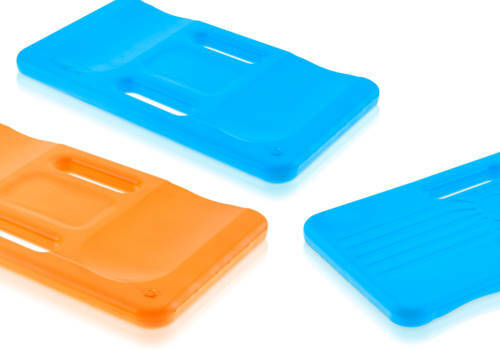 In the wetmolding process, even recycled fibers can be used, such as the fibers created as a by-product when cutting fiber mats. As recently as 2017, KraussMaffei introduced yet another innovation in reaction technology. The iPul pultrusion system is the first complete system for continuous pultrusion. KraussMaffei demonstrated the system in operation at the Competence Forum in June 2018. Using this system means that production speeds can be more than doubled in comparison to the conventional tub process. 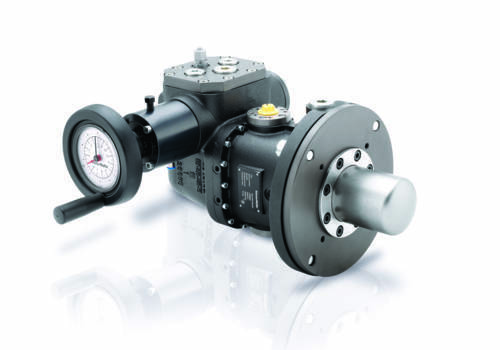 An important component of the new machine is the metering technology, which has been optimized specifically for the pultrusion process. It injects the matrix material directly and continuously into the injection chamber. This means the matrix systems be processed with a higher reactivity. These systems can, in turn, be coordinated to the specific property patterns of the end product. The result: components with high fiber volume content. In other words, high strength at a low weight. This yields great opportunities for applications in wind power and construction. Fifty years of Reaction Process Machinery at KraussMaffei have left a significant mark on the development of PUR processing globally. In the future, challenges will continue to provide incentives for developing new technologies—very much in the spirit of Technology Pioneers.